Does Language Regarding Wolves and Bears Shape Attitudes? Does Our Language Regarding Wolves and Bears Shape Our Attitudes? In Wisconsin where I live, we call three large predators “neighbors”: the black bear, the gray wolf and the occasional mountain lion. Because of this, you might think that Wisconsinites’ attitudes toward all three animals would be similar. But a guest columnist in our local newspaper on Sunday, June 22, 2014, pointed out how differently people in the northern portion of the state regard bears and wolves: black bears are considered formidable but mostly benign, while wolves are thought to be dangerous and in need of strict control—or gotten rid of altogether. These convictions, however, aren’t limited to Wisconsin. In fact, I believe they may be worldwide. So, why have we singled out the wolf for our vitriol? The answer could be as simple as the language we use and the stories we tell to describe them. Although in Wisconsin we live with nearly 18,000 black bears as opposed to only about 800 wolves, we seem to regard the wolf as a far greater threat to our lives and livelihoods. In a 2013 Wolf Policy Survey conducted by Dr. Adrian Treves and colleagues at the University of Wisconsin-Madison Nelson Institute for Environmental Studies, the attitudes of 1,311 previous respondents to a wolf-attitude survey were resampled. A majority of respondents who lived in the state’s wolf range approved the legislative decision to open a wolf hunting and trapping season for the first time in the modern era in October 2012. But surprisingly, after the “harvest” (the quota for 2012 was 201 wolves), tolerance for the remaining wolves didn’t grow but decreased among male respondents living in wolf range. Having fewer wolves, it turns out, was not associated with an increase in acceptance of them. 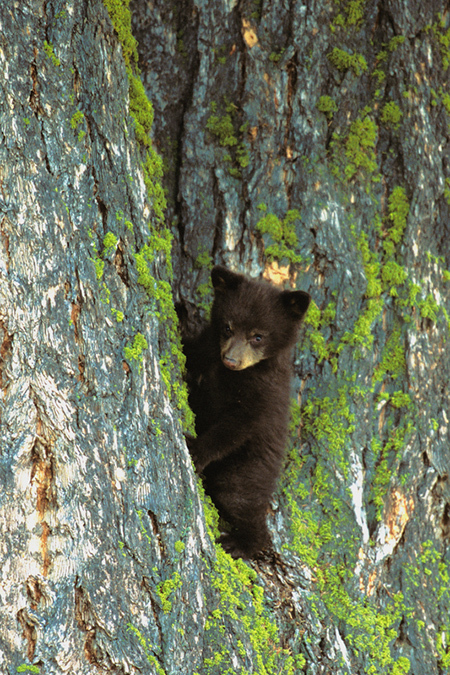 Yet in Wisconsin, it is the black bears that trample and destroy field crops, routinely damage cabins and homes while breaking in and rummaging for food, kill livestock, and cause extensive damage to trees by feeding on the inner bark or by clawing it off to leave territorial markings. Black bears destroy entire orchards by breaking down trees and branches to reach the fruit. And while people tend to erroneously blame our Wisconsin wolves for lowering whitetail deer population numbers, it is the bears that are incredibly efficient at preying on fawns. 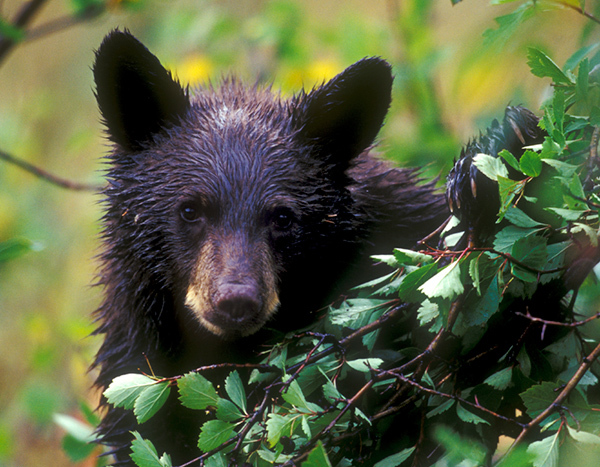 From 1900 to 1980 in North America, black bears caused 23 human fatalities. According to the United States Fish and Wildlife Service, only two human deaths on the continent have been attributed to wolves in the past one-hundred-plus years. More humans have been killed by alligators (17 since 1948) and mountain lions (22 since 1890). Statistically, our dogs are far more dangerous than wolves: dogs kill about 30 Americans each year. In Wisconsin, whitetail deer have caused more than 400 human fatalities and hundreds of millions of dollars in property damage and government costs since 1970. In Europe, attitudes regarding wolves and bears follow the same pattern as that found in Wisconsin. In March 2000, the World Wildlife Fund published a report titled Europe’s Carnivores: A Survey of Children’s Attitudes Towards Wolves, Bears and Otters. Researchers asked teenagers in the United Kingdom, Croatia, Poland, Slovenia and Spain how they felt about the three animals. While there have been no documented cases in recent history of a healthy, nonrabid wolf killing a human in Europe, this is not the perception among the students questioned. Nearly one in four (24 percent) in Northern Ireland believed attacks on humans by wolves were common (in the UK as a whole, the average was 18 percent). One theory about why there is such a difference in the attitudes we humans seem to have toward wolves versus bears points at the language we use and the very different stories we tell ourselves and our children regarding them. In 2001 in a study titled Ravenous Wolves and Cuddly Bears: Predators in Everyday Language, Silvia Dingwall of the University of Zurich in Switzerland conducted research on frequently used expressions in several European languages containing the words for wolf, lynx and bear. She found that of the three animals, the wolf was associated with the most numerous, complex and negative range of expressions, whereas the bear was portrayed in a less negative way, and the lynx was hardly present in the languages at all. I think that here, in the United States, our stories could be at fault. Ever since President Teddy Roosevelt refused to shoot a black bear in 1902, we’ve cuddled up to our “teddy’s bears” as small children. We don’t have a comparable story when it comes to wolves: we grew up reading Little Red Riding Hood and hearing Peter and the Wolf. Have you ever noticed a difference in the words used to describe wolves versus bears in the media or elsewhere? Why do you think we generally fear the wolves in our midst more than bears? Thanks Candice…yes we …from our childhood hear and read stories..and our imagination.. … our attitude were frames accordingly…..So we have to think and act wise when we present materials and examples to our children. The expression generated in our children’s mind is important. Great article, Candy. What I”m going to write here might seem a little silly, but I have had several close encounters with different wolves while in the outdoors of Wisconsin. However I am more worried about being bitten by a tick or mosquito that is carrying an infectious disease than being attacked by a wolf. As far as the wolf lowering the deer population, I think the automobile makes quite a dent in that, more so than the wolf. Interesting thought. how we each look at different animals or even people. What makes you smile, scared, really is unique. Very interesting discussion topic. Part of it is marketing for sure. I had a discussion in college that “dog snapper” would never be able to be successful as a seafood because of the connotations associated with the name. If you need proof, Chilean sea bass is not a sea bass at all, and is actually called the Patagonian toothfish, but got a new name for the purpose of marketing in the US. So maybe there is something to the teddy bear argument. Another thought is the association of wolves with domestic dogs. Just like pit bulls are “vicious” in the majority public view, even though I have known some that were more docile than a lamb. 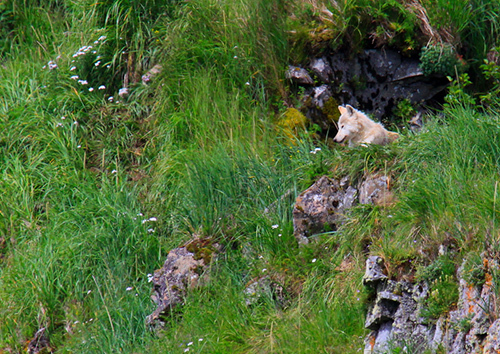 Wolves represent the more primitive or wild form of an animal that we are trained from childhood to respect and fear. It’s only natural that we fear them, if only on a subconscious level. To use the example of the article, lynx would be associated with a house cat, and how many people genuinely fear the yellow tabby next door? They are both important species of animal. In general, I worry more about the surge in populations of coyotes, which seem to be more troublesome to people, more widespread, and more urbanized. Black bears worry me with population surges in areas like New Jersey. Both bears and wolves need to be managed properly, and a better marketing campaign for both would do wonders.